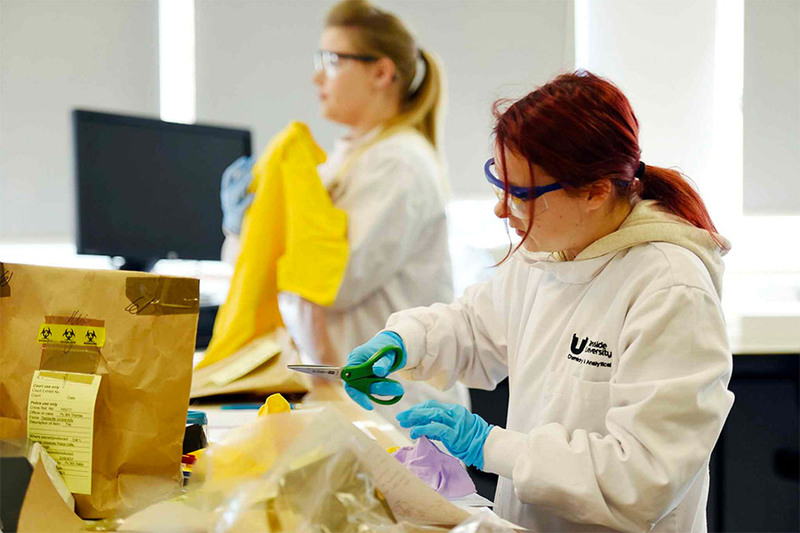 This BSc (Hons) Forensic Science (with Foundation Year) degree course includes an integrated foundation year - ideal if you don't have the required entry qualifications for direct admission to Year 1 of our BSc (Hons) degree course. 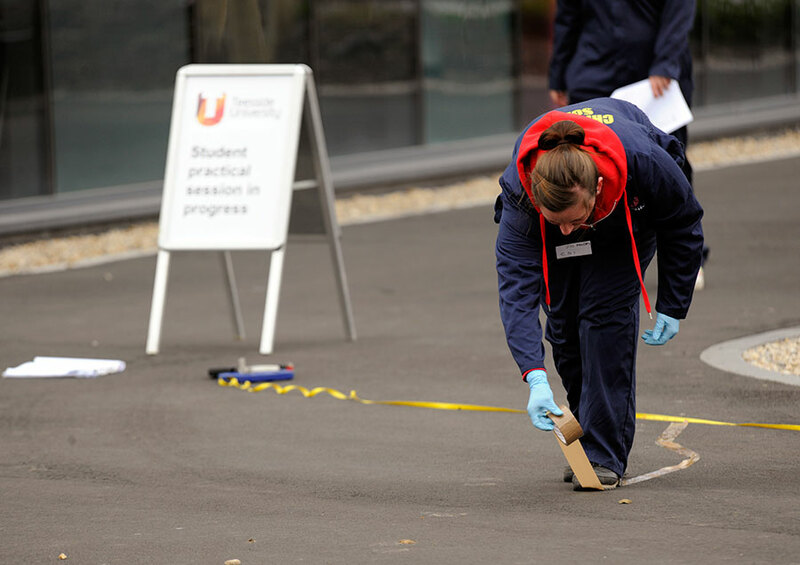 We are an established UK centre for forensic and crime scene science education and work closely with local police forces including Durham Constabulary, Cleveland Police and Northumbria Police. Durham Constabulary is one of our strategic partners, which offers research project opportunities. 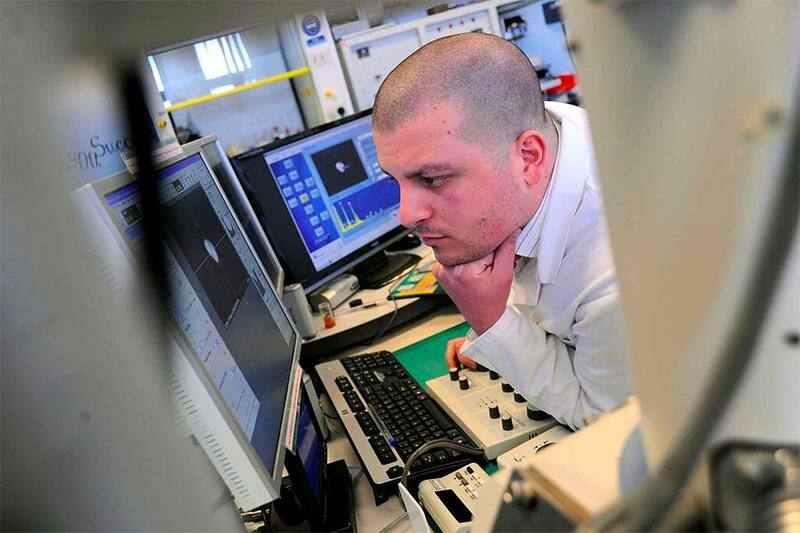 We also enjoy close links with forensic science providers, the Government’s Defence Science and Technology Laboratory (Dstl) and the College of Policing. These links enhance your learning and contribute to our excellence in forensic research. Forensic science has an important role to play in modern society and can lead to an extremely rewarding and fulfilling career. 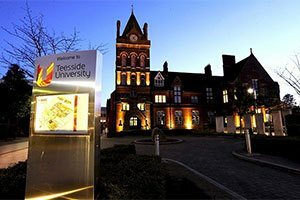 Our degree, a multidisciplinary area of study, reflects the skills required by the modern forensic and graduate scientist. Besides extensive skills development in the background and practice of current methods of scientific forensic analysis, grounding is also given in the investigative processes from recovering evidence through to presenting it in court. Taking criminal investigation as an example, fragments of glass, paint flakes, fibres, footwear marks or DNA extracted from body fluids can help provide evidence to link individuals with each other or with the scene of a crime. The challenge is deciding which samples to examine and how to obtain the best evidential value by analysing and interpreting them. In addition to learning the vital skills relevant to a forensic scientist, the course is multidisciplinary such that you will also develop an in-depth understanding of key biology and chemistry subjects such as biochemistry, cell biology, genetics, molecular biology, toxicology and analytical chemistry. Potential careers include work related to crime and forensic investigation, forensic science, forensic anthropology, analytical chemistry, pharmaceuticals and teaching to name just a few. 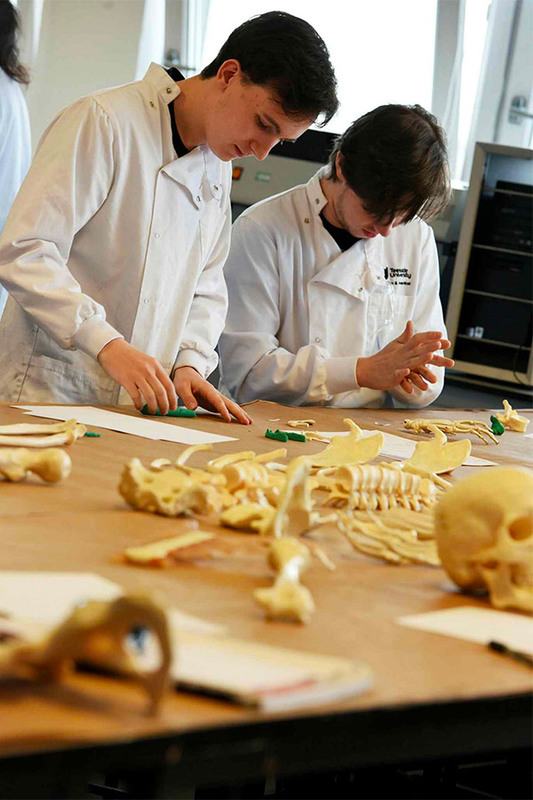 Students have access to extensive facilities and to many staff who are former practitioners in crime scene and forensic investigation, bringing operational experience to the classroom. Our course teaches you to manage the forensic process from start to finish. You develop skills in gathering, recording, evaluating and presenting evidence, as well as understanding the science behind forensic analysis. Delivery of our courses is supported by our extensive crime scene house with briefing rooms equipped with all the necessary teaching aids and over 30 crime scene areas - lounges, kitchens, master bedrooms, children's bedrooms and bathrooms. There is also a fire scene, clothes shop, bar and travel agents. Other scenes can extend beyond the confines of the house to a rear yard and grassed area. 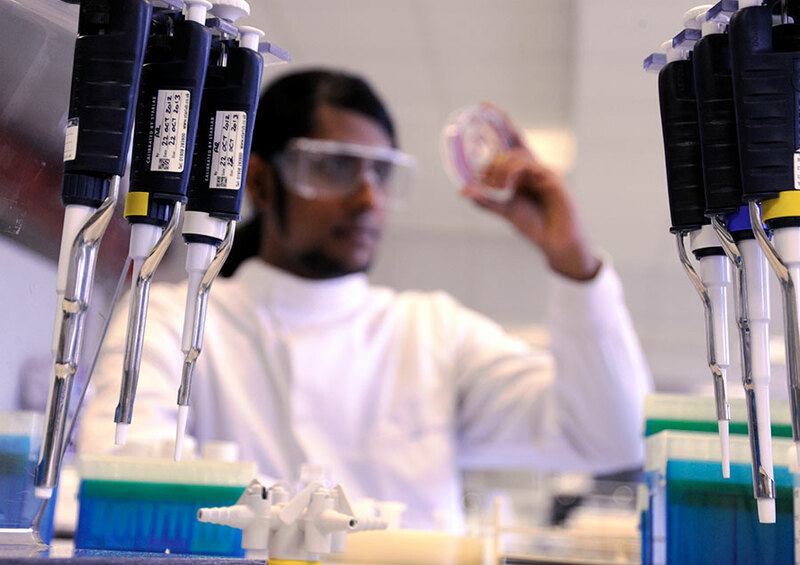 Other specialist facilities include a vehicle examination laboratory, a blood pattern analysis suite, and further laboratories equipped with a full range of optical microscopes, analytical chemistry equipment and DNA profiling facilities. In addition, a replica courtroom enables you to present evidence in a realistic environment to further enhance your learning opportunities. This course is accredited by The Chartered Society of Forensic Sciences. Big data – it’s a phrase that a lot of people would argue is overused, or at least not always used in the appropriate context. So what is it really? How is it made and how do we make sense of it? In this module you learn how big data is not just abundant but a growing field in so many aspects of our society from policing and conservation to health and bioinformatics. You explore how groups and communities use and share big data to help keep themselves safe in disaster zones around the world. You begin to value the role data plays in helping to make sense of community relationships in society, from uncovering criminal networks, tracking disease outbreaks to developing a deeper understanding of our ecology. Data might end up in a data-frame spreadsheet format but it doesn’t begin there. It is often created with people and animals engaging with each other and technology. You explore how search engines collate and store the data we need to help make predictions, enhance decision making, or simply to better understand society’s needs. Chemistry is the study of the structure, properties and reactivity of elements and compounds, and plays a key role in all physical, life and applied sciences. The topics covered include the structure of the atom, the periodic table, chemical bonding, chemical reactivity, environmental science, biogeochemistry, pollution, green chemistry and climate change. 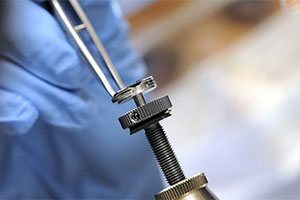 This module introduces you to the theory and practice of crime scene and forensic sciences – you refer to case studies, especially those in which procedural issues have compromised investigations. These issues are brought to life in practical sessions using our onsite facilities including the crime scene house, vehicle laboratory and replica courtroom, all providing you with an immersive setting. You work in groups to study and debate details of evidence-based miscarriages of justice. You see how practice has changed as a result of these cases as well as considering technological developments. Emphasis is placed on developing your study skills in the context of forensic investigation. This module focuses on how science can help address some of the biggest global Grand Challenges that face society. 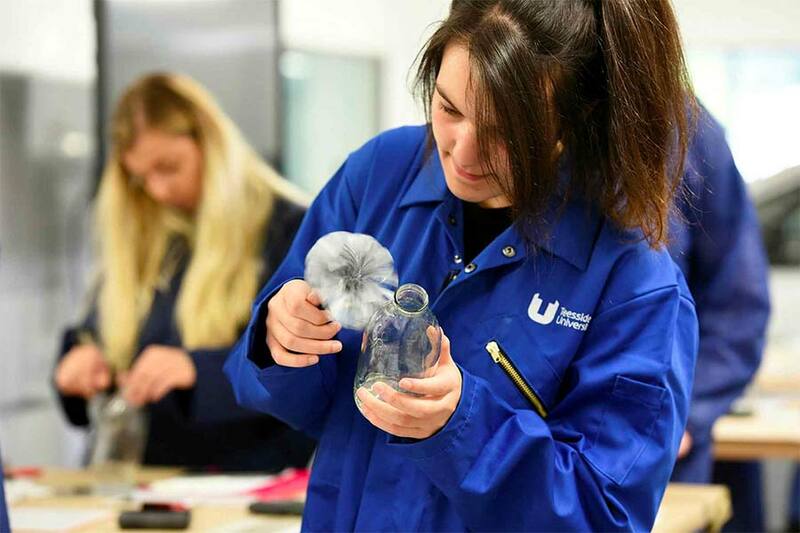 This reflects the University’s focus on externally facing research that makes a real, practical difference to the lives of people and the success of businesses and economies. 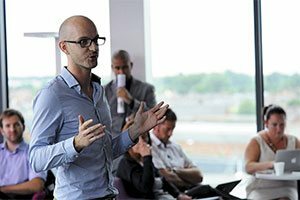 You work on a project in a group, to enabling you to develop innovative answers to some of the biggest issues of our time based on five thematic areas – health and wellbeing, resilient and secure societies, digital and creative economy, sustainable environments and learning for the 21st century. This module focuses on the life sciences from a human perspective. While developing an understanding of human biology you explore the role of different but interconnected life science disciplines in modern life. While reviewing life science from an interdisciplinary context, relatable to a variety of backgrounds, you examine the major human body systems – cardiovascular, respiratory, excretory, endocrine, nervous, digestive, skeletal and reproductive. This module enables you to appreciate how such knowledge is relevant to issues in health, disease and modern society. 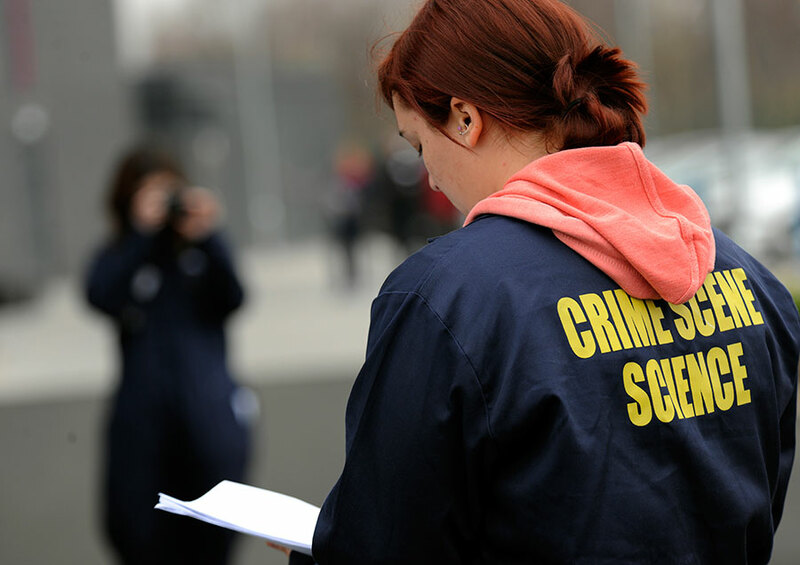 This module develops your understanding of the skills to successfully study at undergraduate level in crime scene science and forensics. You are encouraged to reflect on and manage your own learning. We emphasise time management and good learning practices during the module. These skills are contextualised to give you an insight into how various enforcement agencies work and the investigative process including the use of intelligence. The module also covers the role of support services such as crime scene examiners and forensic laboratories within investigation. You are also introduced to prosecution policies used by enforcement agencies and the alternatives to prosecution. This module introduces you to the basic principles and good practice of collecting, recording and evaluating data, and to the use of information resources and referencing. It reviews a range of basic mathematical skills and introduces statistical methods essential for a wide range of scientific endeavour. The module is delivered by problem-based learning in interactive ICT tutorials. It is assessed through a time limited online test available on the virtual learning environment. You gain key practical skills associated with the examination of a crime scene and the need to work as part of a multi-disciplinary team to process serious crimes. Your focus is on developing the psychomotor skills required in order to maximise forensic evidence recovery at a variety of incidents through the application of sequential processes. This is achieved through the use of simulated incidents and practical exercises and covers key topics such as the preservation of the crime scene, methods of recording and documenting a crime scene and the recovery and packaging of forensically relevant material. The delivery of this module includes two intensive weeks where you work in small groups to solve a defined problem. You are introduced to the fundamental concepts of forensic science in both a theoretical and practical manner. You are introduced to a range of forensic chemical and biological evidence types including, footwear marks, glass, paint, fibres, fire investigation, drugs, DNA, body fluids and blood pattern analysis and carry out a range of associated practical and tutorial sessions. Additionally you incorporate the requirement to analyse and interpret forensic scientific data. Knowledge of the degree subject is not the only thing you learn at university, nor is it the only thing which potential employers will be looking for. You develop a range of skills which will be applicable in all walks of life. These include a range of abilities and attributes such as being able to: articulate yourself clearly, confidently and effectively to different audiences, both orally and in writing; work independently or on your own initiative when required; demonstrate creativity and adaptability when tackling problems for which all the necessary knowledge is not available; locate information and critically assess its usefulness and make efficient and effective use of the latest information technology. You also learn to assess your own performance, recognise and build on your strengths, identify and improve your weaknesses and raise your aspirations. This module is the first in a series where key skills and attributes are developed and assessed. This is achieved by a series of learning activities which require the use of different skills while also teaching key aspects of forensic science. This is an introduction to the role of the expert witness in legal proceedings, from handling of evidence and writing scientific statements to being an effective expert witness in the courtroom. The legal framework is explored including aspects of UK, International and Human Rights law. There is a quality theme throughout, to include quality standards and accreditation. 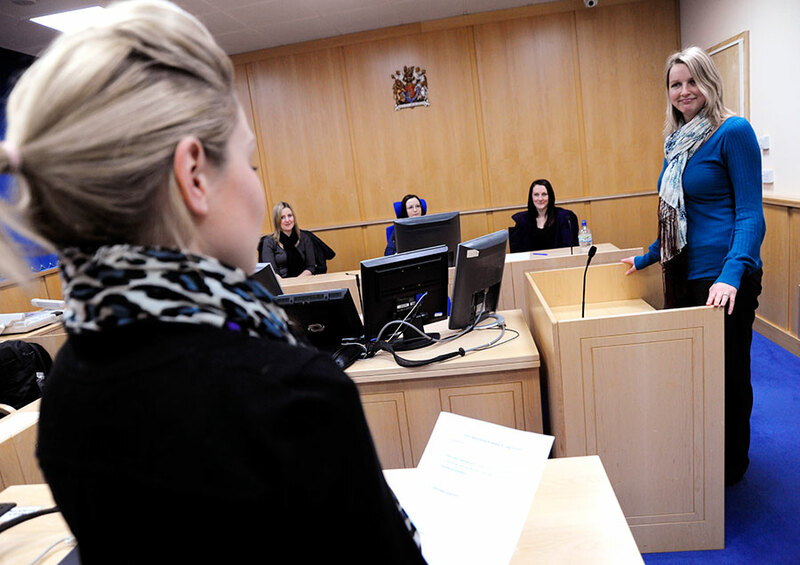 It is delivered by a series of lectures and seminars with practice sessions for you to develop your courtroom skills. You examine the underpinning principles and practical realisation of a wide range of analytical techniques towards crime scene science and forensic science. Analytical techniques include chromatography, microscopy and spectrometry. Emphasis is placed on the application of the analytical technique towards the investigation of fire scenes, glass fragments, paint analysis, fibres and drugs of abuse. You examine the crime scene from a forensic scientist’s perspective. You examine simulated crime scenes and develop your scene attending skills as well as appreciating the impact the collection of evidence from the crime scene makes on the forensic process. The practical aspects for this module take place in two intensive weeks allowing you to gain an appreciation for real time forensics. You undertake a series of investigations and laboratory examinations in biological evidence enabling acquisition of practical knowledge and skills which are important in the role of a practicing forensic biologist. You build on the basic general skills of forensic examination and allow specialisation in biological evidence. The work is largely self study, but includes some elements of formal instruction. There is a number of taught sessions throughout the year which will be supplemented by a comprehensive range of laboratory sessions and a self-managed investigative case study where you are required to analyse, interpret and evaluate information contained within published scientific literature. You examine the science underpinning chemical trace and particulate evidence analysis. You are also required to assess, evaluate and interpret forensic trace evidence and justify these findings. The module consists of lectures covering key content and also includes the use of case studies and group discussions/debates in order to allow you to develop your critical understanding of forensic science in the judicial process. In addition laboratory sessions will allow you to develop your key practical forensic skills and apply your theoretical knowledge. You are put into situations which you are likely to find yourself facing in your future career as forensic and investigative scientists. These include demanding technical interviews in which your subject knowledge and ability to present yourself as a professional scientist will be tested. You are given tasks or problems for which you don’t possess all the necessary knowledge and are asked to do background research which may include ethical and quality management considerations. In tackling these tasks you enhance your knowledge and understanding of forensic science practice and become better prepared to deal with similar situations effectively and constructively in the future. Analytical chemistry is the application of biological and chemical knowledge towards the identification and characterisation of compounds. The application of analytical chemistry towards forensic science can aid the investigation of crimes and criminal activity. You examine analytical instrumentation which supports the investigation of drug identification and profiling, fire and explosive investigations, human and animal tissue analysis and other current relevant applications. You review the analytical instrumentation towards forensic applications focusing on critical evaluation of data. 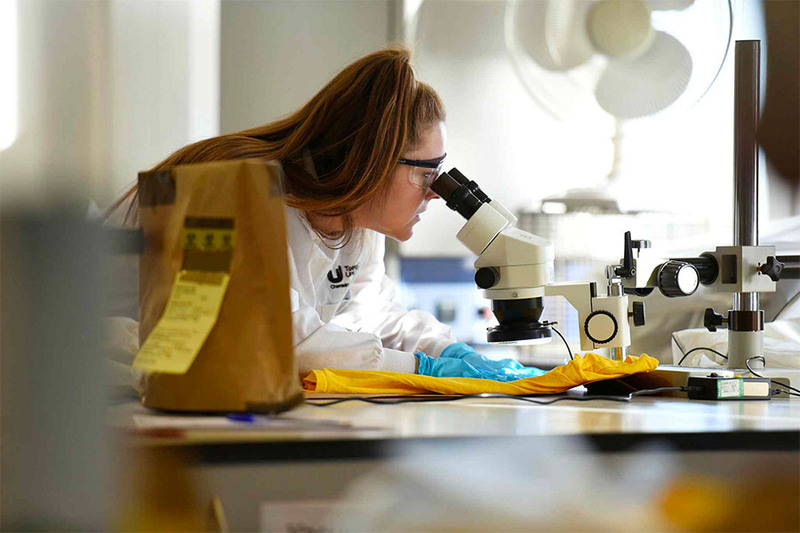 You study core forensic and biological knowledge, providing opportunities for you to interpret, conclude and evaluate upon more complex case scenarios within forensic biology. It provides opportunities for you to develop the appropriate skills to analyse interpret and draw conclusions on DNA profiles and understand the range of alternative methods available for the biological identification of individuals. This is achieved by an appropriate assortment of lectures, tutorials, laboratory sessions and self-directed learning. You carry out group work and encompass the examination of evidence typically found within a crime scene and working forensic science laboratory, evaluation of data and delivery of evidence in a mock court. You work in self-managed inter-disciplinary teams using each other’s strengths to build up a portfolio of knowledge and evidence relating to casework material. The module incorporates industry standards such as Streamlined Forensic Reporting (SFR). You explore the broad subject of forensic ecology – the use of the environment in forensic investigations. This includes topics such as archaeology and anthropology, entomology, palynology and soil analysis. A number of different topics are examined and discussed and their potential to aid forensic scientists will be critiqued. Case examples will be used to illustrate the application of these ecological methods. Lectures will be complemented by practical sessions and discursive seminars to fully embed this knowledge and to allow you to fully explore and engage with this area. You examine some of the common procedures and applications used in clinical forensic medicine, forensic pathology and the investigation of suspicious deaths. It includes an overview of human anatomy to expand your existing knowledge within the subject area. You are required to evaluate ethical issues, legal issues and the appropriateness of scientific techniques. Analysis, interpretation and evaluation of scientific procedures relevant to the subject area will also be required. You are expected to attend a range of lectures, small group tutorials and hands-on laboratory sessions. Part of your course also involves a substantial research-based project. The course provides a number of contact teaching and assessment hours (such as lectures, tutorials, laboratory work, projects, examinations), but you are also expected to spend time on your own - self-study time - to review lecture notes, prepare coursework assignments, work on projects and revise for assessments. Each year of full-time study consists of modules totalling 120 credits and each unit of credit corresponds to 10 hours of learning and assessment (contact hours plus self-study hours). One module in each year of your study, excluding your first year (Level 3), involves a compulsory one-week block delivery period. This intensive problem-solving week, provides you with an opportunity to focus your attention on particular problems and enhance your team-working and employability skills. Assessments are varied and reflect the module outcomes. There are written assignments, from essays to court reports, examinations and verbal presentations. You also have the opportunity to present evidence in the replica courtroom. Support and constructive feedback is provided by academic members of staff to help you improve in all aspects of your learning. Depending on the Level 3 subjects previously studied, typical offers are normally in the range 32-88 tariff points. Demonstrable evidence of appropriate knowledge and skills acquired from at least three years of relevant post-school work experience. Any Level 3 subject is acceptable for entry to this course. Students are expected to provide evidence of English language and mathematical skills equivalent to at least GCSE grade 4. We consider a wide range of English and maths qualifications alternative to GCSEs. Please contact our admissions staff for advice. Forensic science graduates can find employment in a wide range of sectors - you are not restricted to a forensic scientist role. You have enhanced employment prospects in sectors which include medical, scientific and research laboratories, chemical and processing industries, the legal profession, probation service, police, Ministry of Defence, Home Office, trading standards, criminal justice agencies. With our focus on science communication, some graduates choose to pursue a career in teaching. Emma worked in engineering, but took a career break to take care of her family. 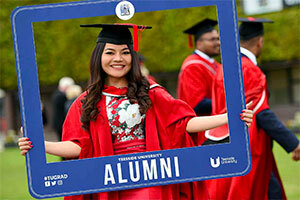 Returning to education as a mature student led her onto a new career path. 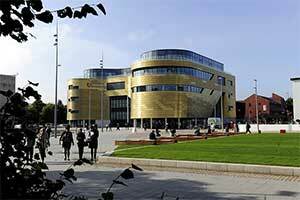 While at Teesside University, Ronja accepted the Professor Leni Oglesby prize for achievement. 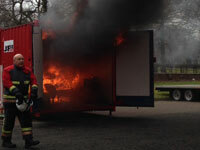 Students on crime scene and forensic science courses gained hands-on experience in a fire demonstration.